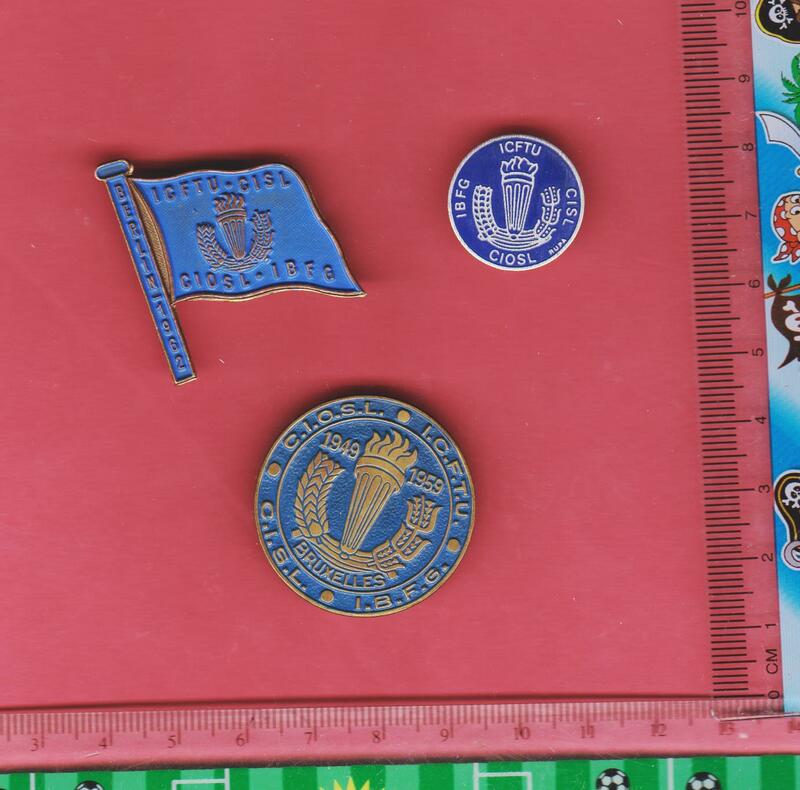 Vintage badges are always popular with collectors and vintage trade union badges are particularly sought after. These three relate to the International Confederation of Free Trade Unions, a body which existed from 1949 to 2006. This was a group that broke away from the World Federation of Trade Unions in 1949 citing undue Communist influence, and existed independently until 2006 when it became part of the International Trade Union Confederation, which still exists today. 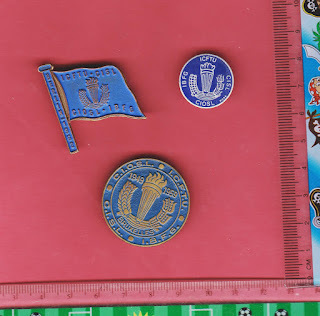 The flag-shaped badge and the larger of the two round ones are of particular interest, being Conference badges (The flag-shaped badge was worn by a delegate at Berlin, 1962 and the round one relates to Brussels, 1959). To see our stock of vintage badges and other collectables, click on http://stores.ebay.co.uk or visit our Facebook page at https://www.facebook.com/HoonaloonBooks. I apologise if these links are not working, I think it`s another `blogger blip` so I`ll see if it can be put right tomorrow.